The Atticus Hotel knows that with well-earned play comes the requisite work. Our building can accommodate a wide range of meetings & events – everything from a casual catch-up with a client in our Drawing Room to all-day corporate affairs in our Board Room. Wi-Fi throughout the hotel ensures speedy connectivity and our attentive staff is here to create the ideal environment for attending to business. 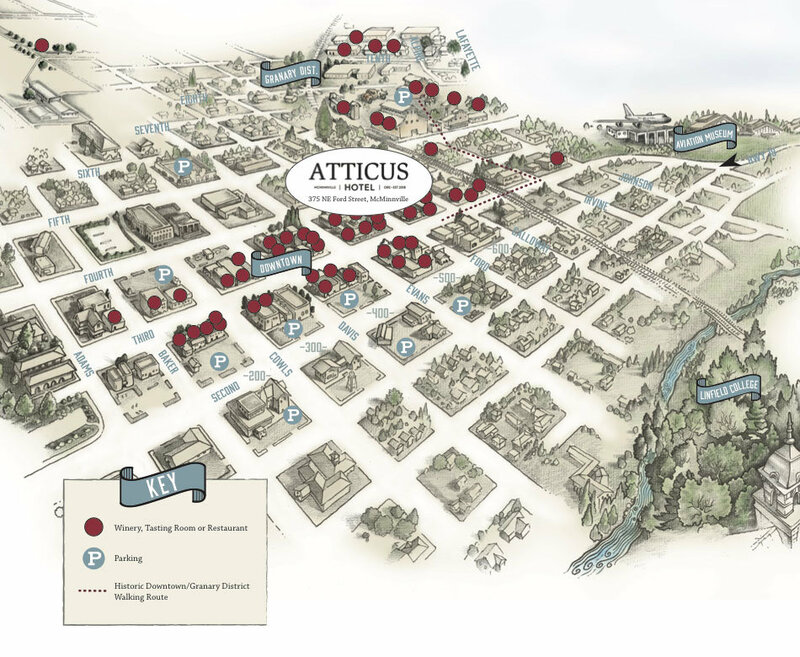 Please contact us by email at groups@atticushotel.com or by phone at 503-472-1975. We’d love to help you plan your event in downtown McMinnville. Allow us to set the ideal scene for your next meeting, soiree or corporate retreat. Whether you need a private dinner in our Drawing Room or a day-long meeting in our Board Room, we’re ready to help host you in Historic Downtown McMinnville. Enjoy a thoughtfully curated event accented by Oregon’s one-of-a-kind take on generosity.